Get ready for the winter season with long sleeve tops girl. 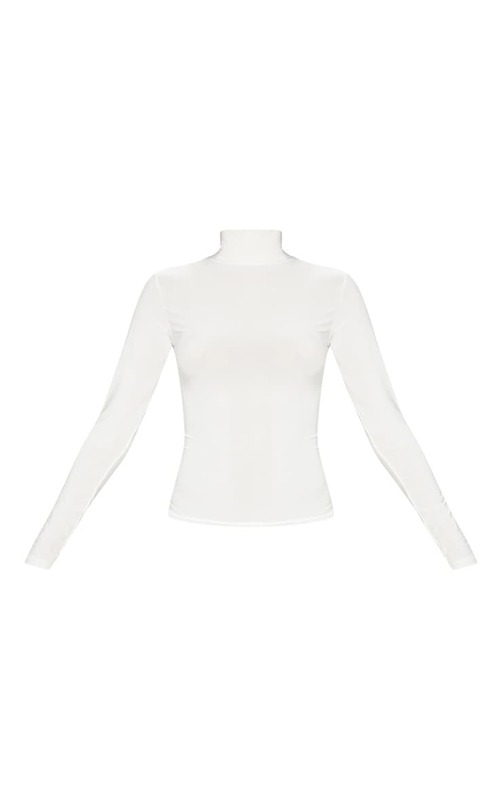 Featuring a cream slinky material with a roll neck and a figure-hugging fit. Style this top with joggers and barely-there heels for a day to night look.